4 3/4" dia. 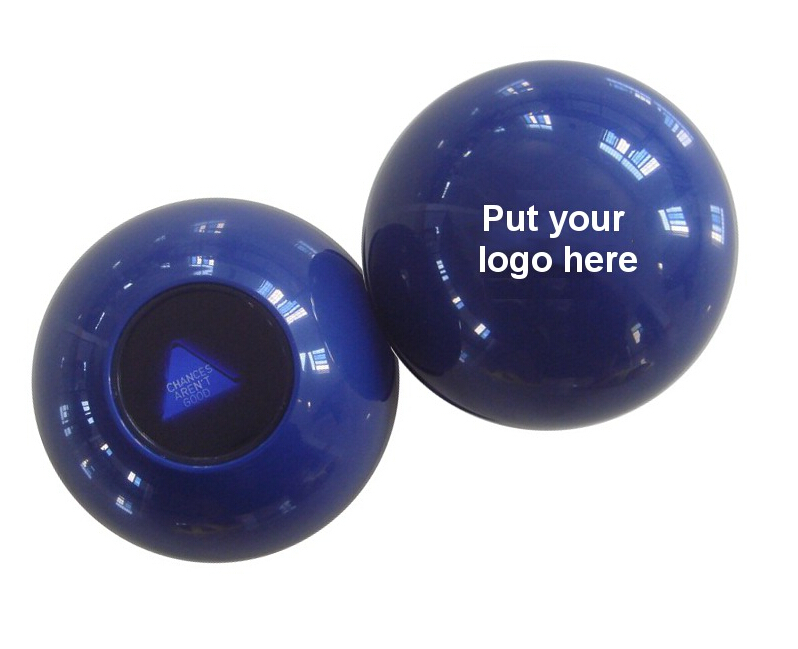 magic answer ball, large fortune telling ball. You can customize the colors and messages inside (based on quantities). Great for any team building, corporate or special event and any type of promotions. Size : 4 3/4" dia.